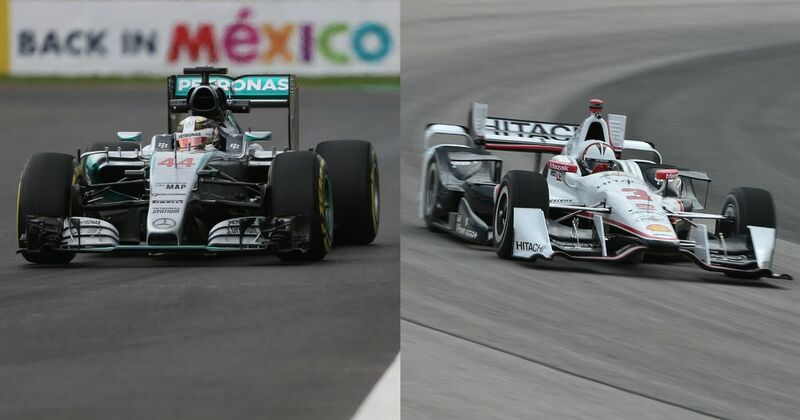 As previously discussed in other comparisons, F1 cars are all very different. Sure, some may run with the same power units, gearboxes, brakes and all have the same tyres but the chassis, aerodynamics and numerous other internal parts are unique. 22 will line up on the grid in 2016, with 11 teams competing in 21 races – at five street tracks and 16 permanent facilities. 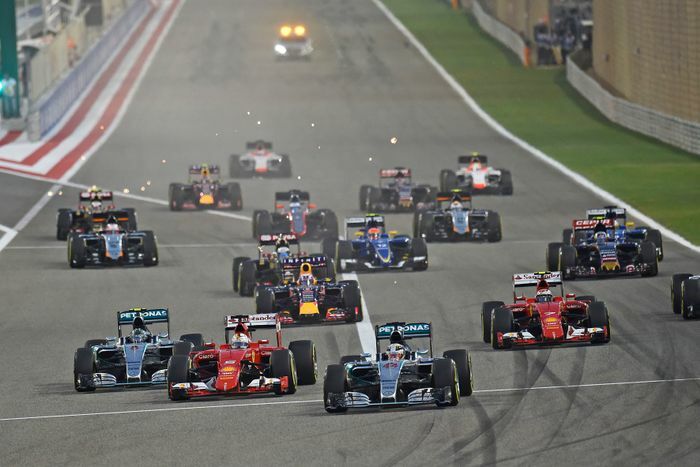 F1 entered a new era in 2014 with the introduction of 1.6-litre V6 turbo engines. They feature direct fuel injection, rev to 15,000rpm and make up the broader power unit, which includes the hybrid system. Overall the power units are made of the Internal Combustion Engine, turbocharger and Energy Recovery System (ERS), which includes the MGU-K, MGU-H, control electronics and energy store. Each driver gets four of each element and using any more of those results in penalties. 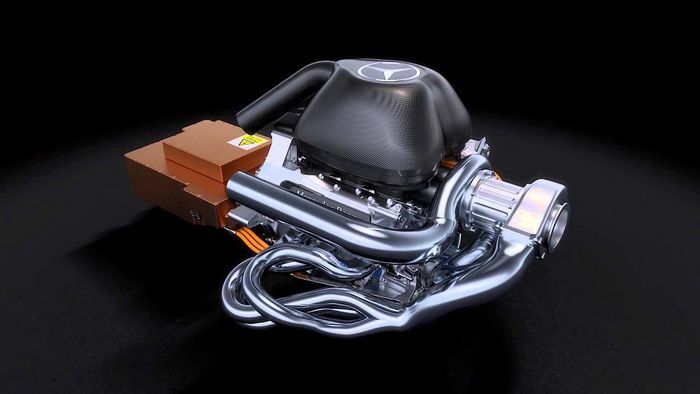 Power units are supplied by Mercedes, Ferrari, Renault and Honda. Cars could have up to three exhaust pipes in 2016 due to regulation changes to increase the noise levels of the engines. Aero regulations are restricted by height, width and location boundaries. But within this small box of possibilities, teams are free to do what they like. Downforce is constantly being searched for, to make the cars quicker and also easier to drive. Semi-automatic, seamless shift gearboxes comprise of eight forward gears (with ratios selected prior to the season) and a reverse. Each gearbox must last six consecutive events. The steering wheels are very complicated with a considerable number of buttons, dials, thumb wheels, paddles and combinations, as well as a screen display for viewing information and data. Carbonfibre composite brake discs squeezed by a conventional hydraulic calliper are used, helping power the ERS system. Tyres are supplied by Pirelli, with five slick compounds in 2016, an intermediate and an weather compound. See more on the new tyre rules here. 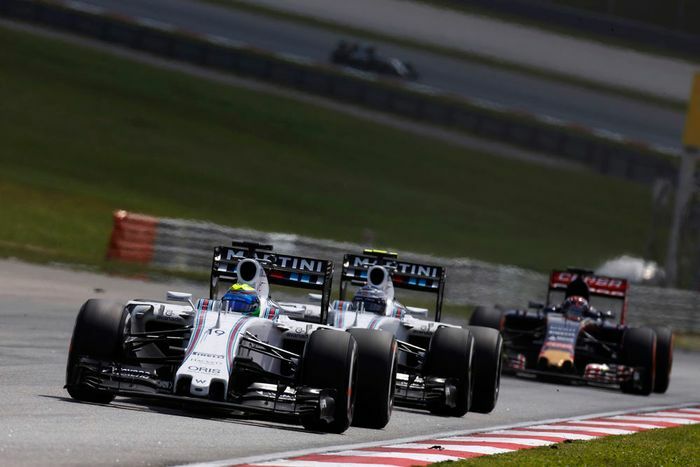 Pit stops are mandatory during races and the Drag Reduction System (DRS) is used as an overtaking aid in the series. Performance stats vary depending on the car, but the highest speed recorded in 2015 was by Lewis Hamilton in Mexico FP1, clocking 223mph (360km/h). Cars weigh 702kg and the championship-winning Mercedes W06 measures 5000mm long, 1800mm wide and 950mm high. 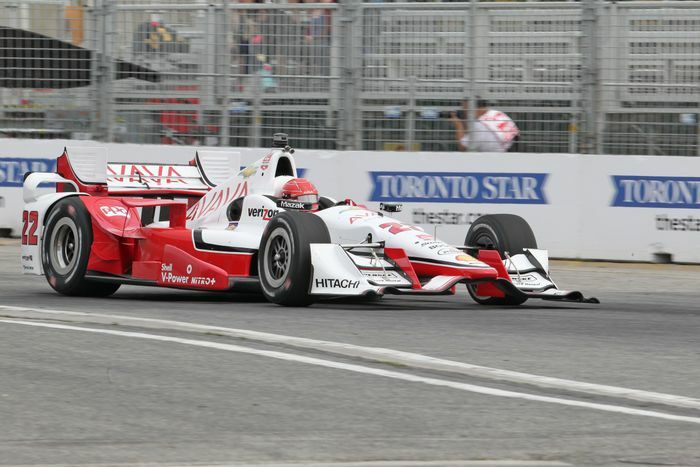 Unlike F1, IndyCar runs the same chassis and with two engine manufacturers – Honda and Chevrolet. But while the actual cars are the same, the aero kits are unique depending on the engine supplier. The 2016 calendar will feature 15 rounds and 16 races, due to the double-header in Detroit, with typically a 24-car grid. However, this is increased to 34 cars for the famous Indy 500. The carbonfibre Dallara DW12 chassis is used by the entire field. The cars run 2.2-litre turbocharged V6 engines from Honda and Chevrolet, producing 550-700bhp depending on the turbo boost, which varies from event to event. The engines are electronic direct fuel injected and rev to 12,000rpm, with only four being allowed for full-season entrants per year. The gearboxes are six-speed, semi-automatic paddle shifts with a reverse gear and Firestone Firehawk tyres are used, with slick and rain treaded compounds. The 15-inch rims are larger than those used by F1 cars (Pirelli currently makes 13-inch wheels) with the tyres themselves being 11 (front) and 15 inches (rear) wide. Brembo brakes are used, with different numbers of pistons depending on the type of track. 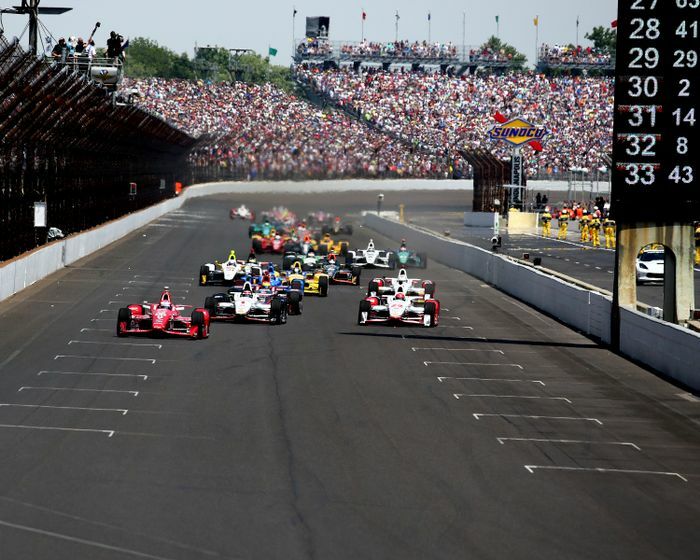 IndyCar races on a wide range of circuits, from ovals to street tracks and permanent facilities. For each of these, the specification of car is different – so the amount of power, the brakes, the aero kits and weight all change. This is to react to the unique characteristics and demands placed on the cars. So in terms of the latter, on small ovals, street and permanent tracks the weight is 730kg, while on speedways it is 716kg (excluding the driver). The aero kits – introduced in 2015 - for the two engine suppliers have to fit into “legality boxes” and only two can be used during a season (with the standard Dallara one being an option). Development areas include sidepods, engine cover, rear wheel guards, front and rear wing main planes and endplates and Indy 500 rear wing main planes. Meanwhile some components are standard like the nose, mirror housing and roll hoop fairing. Kits are different for small ovals, street and road courses compared to speedways. Like F1, IndyCar has an overtaking aid – the push-to-pass system. A button on the steering wheel enables drivers to get a boost of speed. They get 10 pushes per race, with the time varying between 15 and 20 seconds. The steering wheels also feature a wide array of buttons and a dash containing information. Refuelling is allowed in IndyCar and pitting is mandatory, with each one lasting between six and 10 seconds. In F1 there is no refuelling and this makes stops a fair bit quicker. Top speeds for IndyCars are around 230mph (370km/h) at the iconic Indianapolis 500. Meanwhile looking at dimensions, the DW12 is 5011mm long, 1994mm wide and 1016mm. This means the cars are larger than F1 machines in all areas, as well as being slightly quicker in low-downforce speedway trim. IndyCar and F1 cars are very different beasts, with different priorities. They are both open-wheel racers but have varying performance figures. While IndyCar races on a wider range of tracks and changes specifications depending on the venue, F1 is much more standardised, but there is more innovation due to the individual teams creating the cars – although there is now more diversity in IndyCar. But the most important thing is that both produce exciting, interesting racing and entertain millions of fans around the world.